The Skeleton Warriors are coming to D-Con 2014 in Pasadena! 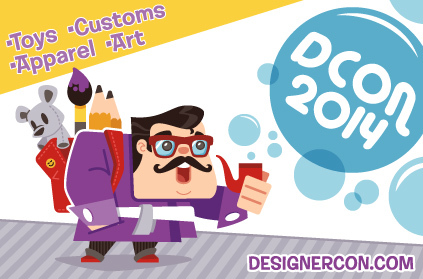 Designer Con is an annual art and design convention that smashes together collectible toys and designer goods with urban, underground and pop art! DCon is over 70,000 sq. ft. and features over 300 vendors, art & custom shows, live demonstrations, and much more! The event takes place on November 8 and 9 at the Pasadena Convention Center. This year Goddard Film Group and October Toys will be in attendance promoting the upcoming Skeleton Warriors 20th Anniversary Glyos-Compatible Figures line. Fans in attendance can pick up exclusive items at the Goddard booth including merchandise from some of the company’s most popular brands: Captain Power, Sungglebumms, and Skeleton Warriors. Visit Goddard Film Group during the event at booth #404 and October Toys at booth # 402. SHADOWLAND Magazine celebrates Skeleton Warriors’ 20th anniversary! Roger Lay, October Toys, and the SKELETON WARRIORS! © 2015 Goddard Film Group, LLC. All rights reserved.